Most businesses require more than one office printing brand of hardware to meet the users’ needs and, depending on the IT architecture of your organization, there may be multiple software solutions to choose from but only one of them is the best fit. Over our long history, SmartPrint has developed an unmatched group of printing and imaging hardware and software partners. Our expertise is to deliver an integrated solution that is the right fit for your users. Our partner relationships provide SmartPrint with the ability to service and support over 92% of current OEM business-rated installed base of equipment. SmartPrint has strategic partnerships with industry leading manufacturers – HP, Canon, Lexmark, Samsung, Dell, and Fujitsu. SmartPrint’s expertise in managed print is unsurpassed while the print devices produced by our partners dominate the marketplace. Working together with experts from our partnering companies, SmartPrint’s managed print consultants manage your print environment and provide expert consulting advice. SmartPrint’s experts are in constant contact with our partners and often bring these experts into your office environment for discussions and strategy meetings. 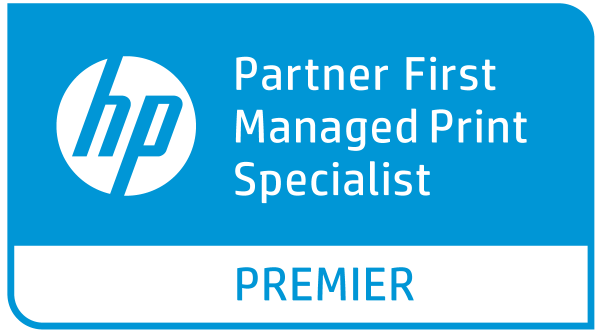 As an HP Partner First Services partner, HP Partner First Managed Print Specialist Premier partner, and Qualified Supplies Partner, SmartPrint is the top MPS partner in Canada and is growing the support of clients with offices in other countries like the U.S.A. and others. In our MPS programs, we provide customers with HP OEM Supplies. Together, SmartPrint and HP offer our clients the ability to leverage management tools in order to balance and optimize our customer’s office printer fleets. SmartPrint has earned HP’s coveted designation at the highest possible level and is recognized as one of HP’s most valued partners. With our designations come access to HP’s print experts, strategy consultants, and programs that provide significant value to SmartPrint’s managed document services offering. 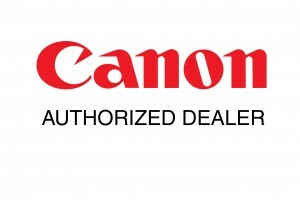 SmartPrint is an authorized dealer with Canon Canada. Canon Canada Inc. has been selling and promoting its cutting edge equipment since its inception in 1973. Headquartered in Mississauga Ontario, Canon Canada is a highly-respected market leader in business and consumer imaging equipment and information systems. The extensive line of Canon products is constantly evolving to reflect the technological innovation the Company is renowned for. Under Lexmark’s BSD Partnership, SmartPrint has exclusive access to Lexmark’s solution based-technology and industry specific applications. The latest multifunction devices with intuitive full colour user interfaces, allow basic workflow solutions to be implemented quickly and allow for easy user adoption. Samsung is a fast-growing printer manufacturer and the largest electronics manufacturer worldwide. Their innovations and designs have won many awards for performance, innovation and eco-friendliness, all of which, when combined with Samsung reliability, presents solutions customers can grow with. SmartPrint is an Authorized Premiere Dealer for Samsung’s exclusive line of commercial print products and solutions. SmartPrint is one of only fifteen Dell Managed Print Solution Providers across North America. SmartPrint has worked in tandem with Dell clients to implement managed print programs, supporting both Dell and multivendor environments. 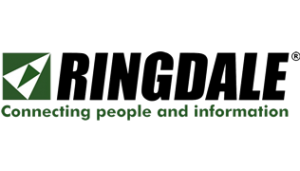 Ringdale is the leading provider of complete document output management solutions. As technology pioneers since 1997, Ringdale continues to deliver the latest innovations in its FollowMe® solutions, enhancing office printing and MPS strategies. As an authorized FollowMe reseller we provide tailored output management solutions for our customers. By working with Ringdale, we provide flexibility to any organization looking to reduce operating costs, increase security and improve the efficiency of their printing environments. XMedius is a leading global provider of enterprise-grade solutions for Secure Document Exchange. It allows companies to safely exchange vital and confidential information, either through on-premises or cloud deployments. Founded in 1996 the Company is headquartered in Montreal, Canada, and operates in North America, Latin America, Europe and Asia Pacific. With more than 12,800 live deployments, addressing SMBs, large Enterprises, and Service Providers, XMedius solutions address a wide spectrum of markets including finance, health, government, manufacturing, retail, legal, and education. Omtool is a trusted partner for document capture, fax and workflow solutions. The company designs and builds software solutions that serve as the foundation for secure document process automation for clients that include some of the world’s largest financial institutions, hundreds of healthcare providers and legal firms, and companies across virtually every industry. By partnering with Omtool, our clients reduce the costs, complexity, compliance risks, and environmental footprints associated with critical business processes that involve paper and electronic documents. WML are experts in digital solutions for the creation and control of complex documents such as legal contracts and financing agreements. This can help insurance, financial and retail businesses to reduce costs by consolidating print operations; improve customer service and compliance; streamline workflows; and implement the secure delivery of electronic documents. As clients move from paper based to digital documents, leveraging our Fujitsu Scanner Partnership provides a platform to easily convert a large number of documents into searchable secure date files. IDAutomation provides barcode software to generate 1D and 2D barcodes, including barcode fonts, barcode generators, DLLs, ActiveX controls, .NET assemblies, label printing software and barcode scanners. Many symbologies are supported such as Code 128, Code 39, Postnet, Interleaved 2 of 5, UPC, EAN, GS1, DataBar, Intelligent Mail, Data Matrix, Aztec, Maxicode, QR-Code and PDF417. SmartPrint is actively involved in both the managed print services and IT services community. To remain on the leading edge of this constantly evolving field, SmartPrint holds full membership in the following associations. Find out more about SmartPrint to see how we help deliver smart solutions to get control of complex print environments.